Mom's Gone Bronson! : Le Top Look-See and Giveaway! Le Top, a family owned business, has been creating quality play-wear for over 35 years. Their whimsical and timeless play-wear is reflective of the joy and innocence of childhood. With sizes ranging from 3 months to 6x they have sizes for most young children. Their clothing also ranges in unique patterns and colors. All clothing from Le Top is known for their soft, natural fabrics that they design and manufacture themselves. 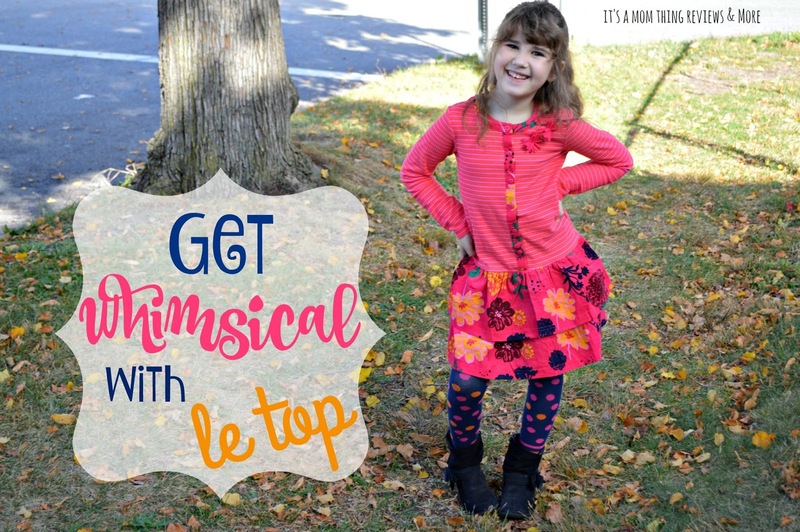 When you visit Le Top's website there are perfect outfits for all small children. There are a variety of colors and patterns and all of their clothing is so playful and fun! Now you have a chance to win an outfit of your choice! Be sure to enter the giveaway below! Disclaimer: Mom's Gone Bronson is not responsible for prize fulfillment and was not in any way compensated for this post. Thank you! I actually really love the Le Ballet Wrap front dress with tulle skirt but I also love the Joy! & Ciao Bella sets.So many adorable outfits for both boys & girls.